Political parties are an essential component in a democracy. As such, political parties themselves often claim to be democratic in all their party activities. But, in reality they are not so, because political parties generally have various internal rules and constitutional provisions which enable the party leaders to act dictatorially or to manipulate the direction of the party in all important matters. As a result, it is usually those closer to the party leadership who get the lion’s share in everything and backbenchers often have little or no say. 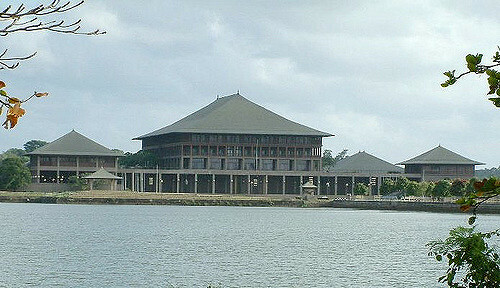 Both the UNP and the SLFP that have governed our country over the years have had same tendencies in this regard which have been more conspicuous under the executive presidency. The enormous powers concentrated in the presidency enabled its occupier to bulldoze his own will in disregard of the opinions of others. However, the situation seems to have changed following the nineteenth amendment to the Constitution. Its democratic dividend became more than manifest with much room for protests and alternate opinion. This new air of freedom and the democratic trend now seems to have entered into political parties as well. 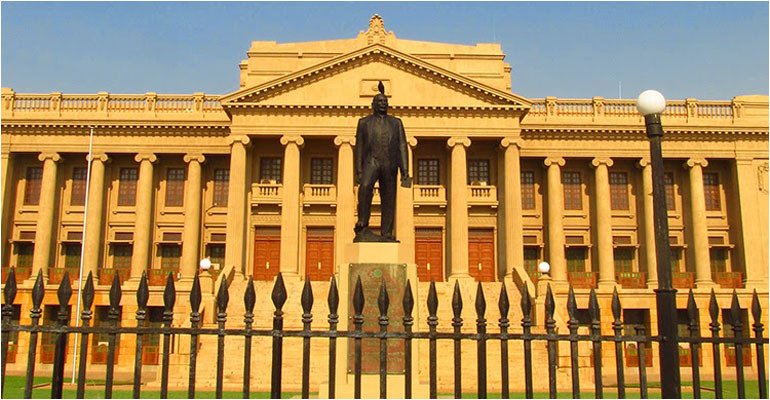 This tendency was seen clearly in the recent times particularly in the UNP where the backbenchers who were usually powerless suddenly became instrumental in removing two key ministers – Ravi Karunanayake and Wijedasa Rajapakshe, from the cabinet. For whatever reasons, this would not have happened, if not for the process of democratization that is happening across the political spectrum. It would certainly be beneficial to people, if this type of process can end up reforming at least the major political parties in the country. In any political party the upper rung or the seniors are usually content with opportunities they already enjoy while there can be corruption charges against some because it is those who have power who can get corrupted first. Therefore, this layer of politicians is not interested in reforms. It is the backbenchers who are often critical of the wrong moves of a party or its seniors. Thus, the backbenches could be the best place to spearhead the war against corruption as well as to initiate some of the important reforms which can ultimately change the political culture of the country. The newly passed local government laws with adequate representation on the basis of wards are expected to return better quality members changing the political culture at the local level and it could be a good first step towards changing the political culture of the whole country. Once the new electoral system is introduced at provincial and national levels greater changes in the overall political culture will be inevitable. These changes sometimes may take longer than expected, but they will certainly be positive changes. The dawn of internal democracy within political parties is a favourable development as it will expedite the transformation within these parties in a way suitable for the future development of the country. Such reforms are much needed as future political parties need to be equipped with members who possess the right knowledge and skills to steer the country and its economy into the modern era. With online exposure and international education the younger generation will not vote for the kind of typical politicians whom we have today. Unless there is a change in both persons involved and the political culture, it is difficult to prevent the younger generations from becoming disinterested in politics. It’s only the democracies with well-developed political parties with proper ideologies that will be able to produce the kind of political leaders who will be able to lead their countries successfully in a modern competitive environment. Thus, the growth of internal democracy in political parties will help the country to choose better leaders from among those qualified to lead, irrespective of where they come from. This will reduce the space for family bandism in politics while the election of future leaders could become more merit based like in more developed democracies. There is a great need for this tendency to come to other political parties, mainly to the SLFP as well. However, there seem to be a vacuum in this area in that party with no proper youth leadership as a result of unwholesome developments that have been taking place in the recent past. One of the biggest problems right now is that politics is not attracting new blood and it has virtually become a game for sons and daughters of the existing politicians who know the taste of it. The existing PR system makes it virtually impossible for any new comer to succeed in politics unless that person has a colossal amount of money to spend. The current political culture usually associated with negative factors such as corruption and infighting also makes it unattractive for the youth. The country can never prosper unless there is a complete transformation in this area enabling the attraction of educated youth and the respected and national minded professionals and businessmen into politics. The current situation mainly attracts two categories of people into politics – the offspring of today’s politicians who are much comfortable with the system and those who see great opportunity in politics to make more money. The system unfortunately leaves out the two most vital categories of people that needs to be attracted into politics if we are to make this country a better place for people to live – people with proper background and education who enter politics for prestige and those who are truly national minded and have a feeling for the country. Greater entry of such people will make it easy for all communities to get together and work for the betterment of the country and there will be lessor space for parochial and divisive considerations such as language, race and religion. At least the two main political parties in the country should undergo this transformation and the emerging democratization within political parties and the new electoral system will be able to lay the foundation for this change.